Maureen Parkinson - Albert Edward Spiby died in 1927 at Cleworth Pit Tyldesley, his surname has been entered incorrectly as SPILBY - Who do I contact to correct this? Jim Dowson - My brother was killed in a pit accident at the Rothwell Colliery on 4th Jan. 1971. Dan Tyrer - How would an 18th century miner become a Mechanic? is a Mechanic the same as an Engineer? I am starting to research my maternal grandfather, who I understand (from my late mother) was a Mine Manager in North Staffordshire. He was called Thomas Evans and was born in about 1870-1880. He had three wives and I understand had 11 children eventually – having initially had four daughters! He seemed to belong to a farming family initially and worked his way up to be a Mine Overseer and then a Manager – does that sound correct? Their living area was Longton and Hanley. His first wife, Mary Elizabeth pre-deceased him – but they had Winifred, Lillian, Dorothy and Marjorie. There was a connection with the Birks Jones family who seemed to build terraced housing and make a lot of money! My late mother, who was born in 1914 and died in 1999 – had memories of Lawyer Hawley and Tailor Jackson – I wonder if anyone would have had tales of them? She remembered walking a long way to school in the thick fog and visits to Trentham Gardens when it was lived in as a house. She talked of Holly Bush Farm – now no more – I think a carpet warehouse arrived on top of it, eventually! Her father worked his way up, but they had a maid – someone who came to do the sewing and he was regarded as “the gaffer” – although I don’t think times were exactly easy! She talked of George Bernard Shaw coming to their school – and she was part of a dancing exhibition and she knew the two brothers who had something to do with Spitfires – also Bomber Harrison. Would anyone have any memories, please? I am researching family history and have an ancestor who lived at 23 Broom Street Ince in 1879. He was a miner who died 23rd January 1879. His widow, Rebecca Cassidy, received Relief from the Miners Social Fund and was in receipt of this allowance some 3 years after his death on the 1881 census. Do you or any of your readers know if this payment would have been made to Patrick’s widow because his death was the result of a pit injury or accident or whether it would have been paid automatically to her even if his death was due to some illness? I have checked the roll call of names for accidents in and around the Ince in Makerfield / Heydock area and his name does not appear. I also understand that if there was an accident at a pit with less than 5 fatalities, these name were not listed anywhere. 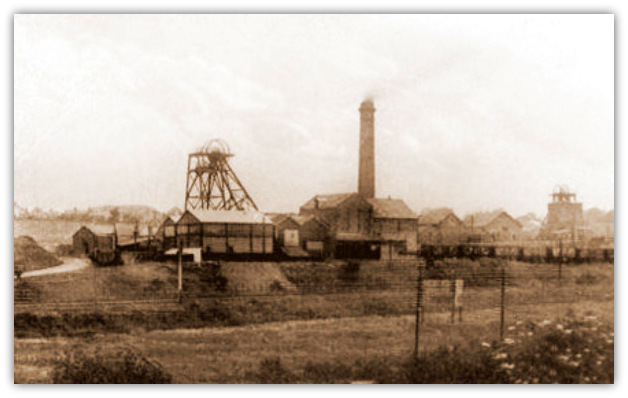 Hi, I have been helping my husband, Dominic Beever, research his family history and so far believe I have managed to trace his great grandfather, William (Willie) Beever to working in Hoyland Silkstone Quarry before he signed up for WW1 in 1915. Can you help in any way with finding out any information about him? He was born in Yorkshire in c.1886. He was listed as a miner on his military records but on his son's marriage certificate in 1946 he was listed as deceased and a former Foreman Quarryman. As they were living in Lanchester in Durham we had come to a dead end but somebody along the way has pointed us in Yorkshire's direction! Any help you could give would be so much appreciated. Albert Edward Spiby died in 1927 at Cleworth Pit Tyldesley, his surname has been entered incorrectly as SPILBY Who do I contact to correct this? Hi, I don't know if I am contacting the right person, perhaps you can help anyway. I have been trying to find a record of an accident which happened in December 1927 at Cleworth Pit Tyldesley, Lancashire. Albert Edward Spiby (aka Alfred) fell from the slips and died. Eventually I discovered that his surname had been entered incorrectly as SPILBY, who, do I contact to get this corrected? Notes: Fell from slips - fractured skull. My name is George Button. And I am trying to find out more about the accident my father, Wilbert George Button had in 1954 which resulted in his death, just before I was born. I did hear that a trainee turned on a machine without the command (whilst my father was in it) He was working in Cronton colliery, Lancashire. My Mother received in compensation, 2 sacks of coal a week. I would very much appreciate any information regarding my Father. 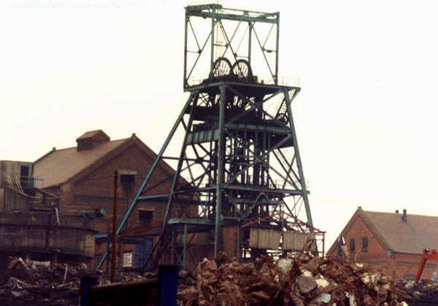 My brother was killed in a pit accident at the Rothwell Colliery on 4th Jan. 1971. Hi, I am visiting your site from California in search of information and I'm hoping that you might be able to point me in the right direction. My brother, Jack, was killed in a pit accident at the Rothwell Colliery on Jan. 4th 1971. He lived at Belle Isle, Leeds and was active in the WMC there. He also played football with the Robin Hood AFC. I was hoping to find some kind of an official website that listed mining accidents and the miners who died in them. I've checked quite a few of them but didn't have any luck finding any kind of record of his accident. PS Fantastic web site by the way, you must have put in a load of hours to get it to where it is now. My name is Claire Bramley and I am currently tracing my family history. I am looking for any information anyone may have about my Great Uncle, Granville Cyril Groves. It is my understanding that he was killed in a mining accident in 1918 aged just 16. I'm not 100% sure which pit he worked at but my best guess would be Sherwood Colliery in Mansfield Woodhouse, since he lived in the village. Grenville Cyril Groves was aged 17 - He lived at 17, Morven Avenue, Mansfield and died at Sherwood Colliery on the 25- March -1918, where he was crushed by tubs. There was an inquest at Mansfield Town Hall on the 27- March -1918. How would an 18th century miner become a Mechanic? Is a Mechanic the same as an Engineer? A long lost relative, also a Tyrer, was born about 1775 and died in Wigan in 1834. He was a mechanic. I assume he worked in a coal mine. Most of his sons worked in coal mines – 2 of them as engineers. Is there a difference between a mechanic and an engineer? How would somebody born in 1775 learn the trade of being a mechanic? Is he likely to have served an apprenticeship, or would he have learned from his father? If the latter is it possible to make an educated guess about the father’s likely occupation? There are plenty of Tyrers in the Wigan area – they seem to be miners, farmers or paupers. I suspect that doesn’t help. Any information at all would be gratefully received. Another stumbling step on a seemingly endless journey. A mechanic is a tradesman and goes through an apprenticeship while an engineer goes to university and gets a degree, at the pit he has a first class ticket and would be part of management. I've recently seen an entry on your website for my grandad's brother, Frank Bradley Billam. Very interesting! I would like to contact Martin Ike Billam who submitted the entry. Would you be able to help me please. I didn't know I had relations in Australia. It was exciting but sad to see your entry about Frank Bradley Billam. What a way to meet your maker. I expect in those days safety wasn't paramount. I do know his father Joseph, was a master pit sinker, and the family moved around a lot. Obviously where the work was. My grandfather John William Billam was a miner too. My Father was Joe Billam, he lived in Cresswell Street Worksop then Waverly Way. and she went onto the net and got me and my wife (Anne) started, with the help of our Son we are finding it a great way to keep our minds active and enjoyable. I was told that there was a Billam at Manton colliery from the first sinking. My father (Joe) went down the pit at 12 years of age and retired at the age of 65 all at Manton. My brother Frank B was at Manton. My uncle Ike, a Deputy, and other uncles. I think I am the only one to break the chain. What I would like to know is about my granddad he worked at Denby Hall Pit during the 1940s and 50s and had an accident and he broke his neck, I was told, as a child, a pony did it, but he was O.K though, he made 85, his name was Horace Parkin, from Ripley.